Tickets to Florida's finest food & wine festival, Forks & Corks, are sold out, but you can still score tickets to the Grand Tasting event happening January 29th, 2017 at The Ringling Museum! In celebration of Forks & Corks 10th birthday, PIER 22 and Michael David Winery are hosting a special Wine Dinner. 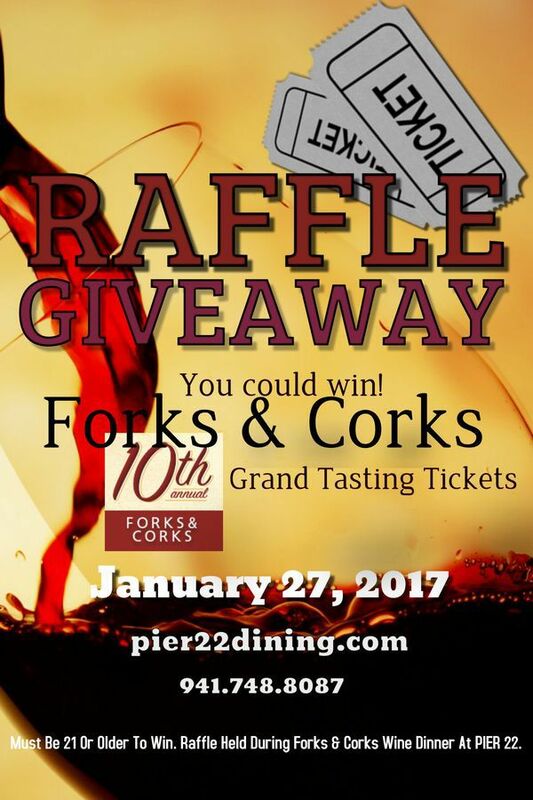 With paid admission to the PIER 22 Winemaker Dinner, you will be entered to win a pair of tickets to the 10th Anniversary Forks & Corks Grand Tasting. One lucky winner will be announced during the dinner.